Welcome to the June Nacho Average Challenges Blog Hop! 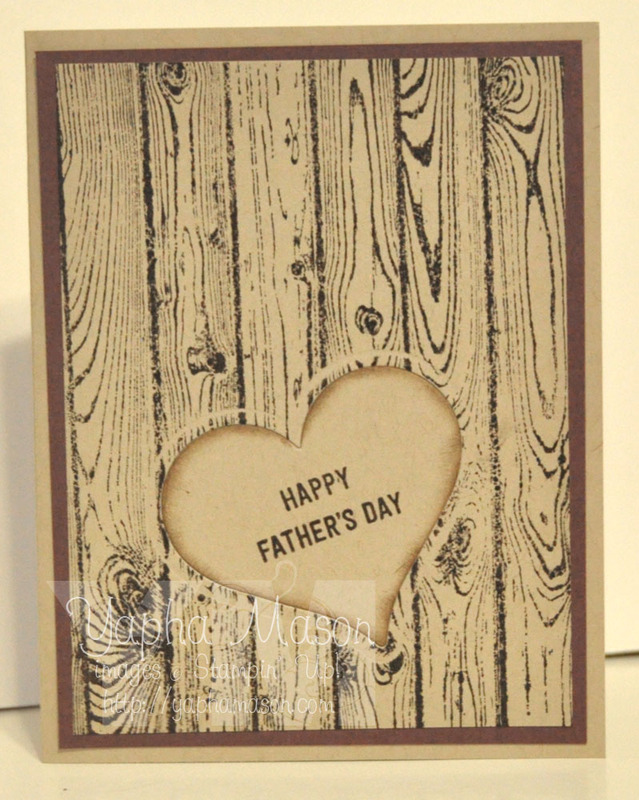 I have a quick and easy Father’s Day Card today. I made this one for my husband who is a woodworker. I cut the heart out before I stamped the Hardwood Stamp, then sponged around the edges of it with Crumb Cake ink, and finally placed it back in the hole. Your next blog hop stop is Anne.